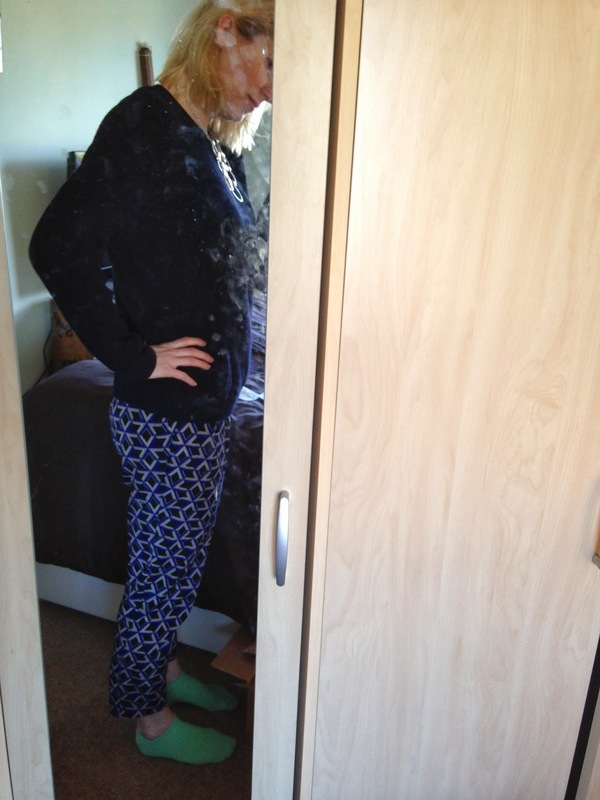 My Forever 21 patterned trousers, similar at Mango. My COS navy Fishermans jumper, alternative here. My Topshop black boots. 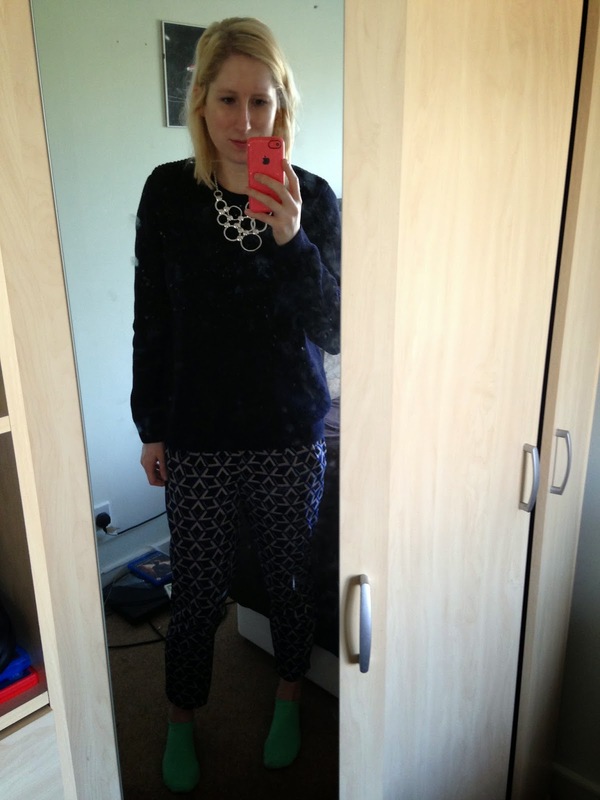 My Statement necklace and the socks are back!! Hair and make-up I did nothing!! !